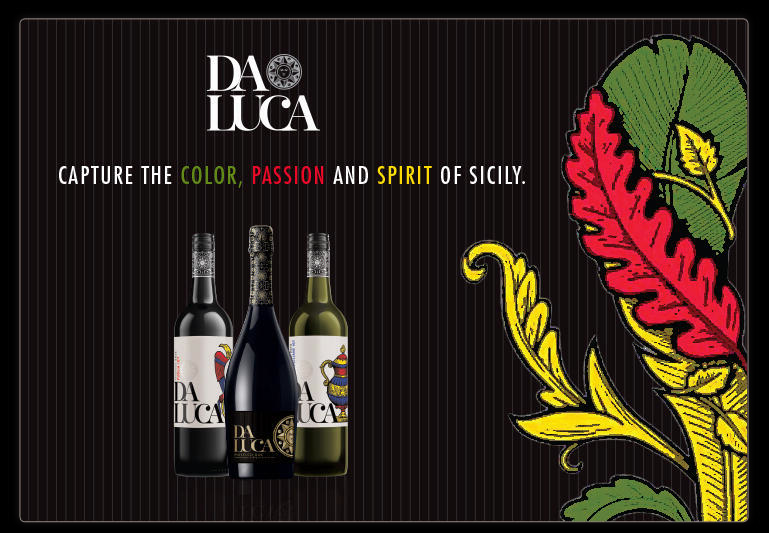 Located in the heart of Sicily, at Da Luca we celebrate everything that's great about Sicilian wine. With our rich wine-making heritage and flair for creativity, we pride ourselves in producing bold, distinctive wines that are unmistakeably Sicilian. Working with small passionate growers scattered across the island to nurture the finest grapes, it's the unique growing conditions of the hot Sicilian sun, the cool sea breeze and the rich volcanic soil which give our wines their intensity and complex flavour.